These designs look like variations of the space shuttle or the ISS to a certain degree. Most of them have been designed with the advice of scientists to achieve the most realistic possible outcome. Such designs typically look quite dull and boring, they don’t transport characteristics like “speed, strength, toughness, coolness” or the like. Basically they are white tons on struts, take awfully long from A to B and the crew has to stay in space suits instead of fancy cottom uniforms. Their layout looks awkward to the audience as no vehicle on Earth is built like that. Their interior most likely won’t look like a futuristic first class hotel but more like the cockpit of an airplane, every inch of space used for something not so obvious, the overall impression rather uncomfortable and functional. You will not see typical sci-fi tropes here like space fighters (looking like F-16s), ultra-powerful main engines, zippy laser cannons, photon torpedos, crew decks or a bridge that look like on a luxury ocean liner, engine rooms that you can enter and reactors that the crew can manually tinker around. These ships usually are not considered to be “cool” or awesome to look at. 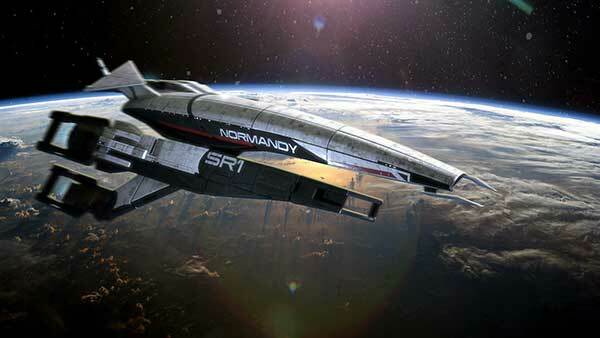 Originally defined here, this design defines the majority of spaceships we meet in sci-fi productions. From Star Wars to Halo those ships have certain aspects in common that serve only one purpose: make spaceships look and feel familiar and impressive to the audience. As the audience can only identify with something they have experienced themselves to a certain degree, spaceships must copy those very earthly aspects taken from naval ships, airplanes, cars, homes and more. 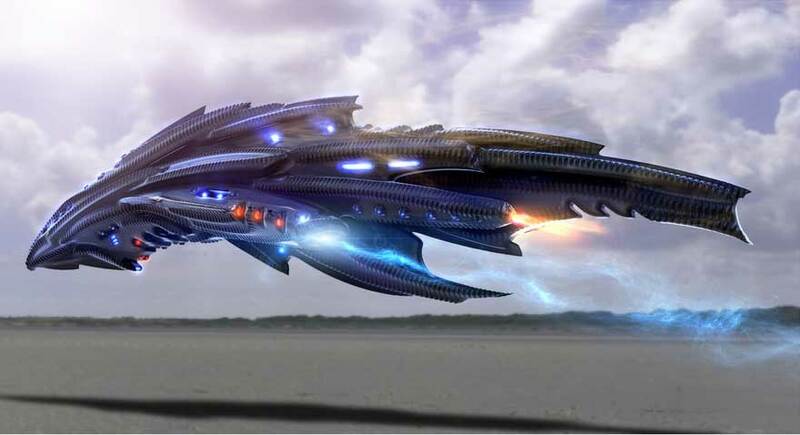 The more spaceships look like and behave like ocean going ships, airplanes or similar, the more believable they appear to the majority of the audience. Most people either don’t know about the pecularities of space travel or actively reject them. It just seems too cumbersome to deal with the many strange details that this strange environment brings with it. Most people do not understand the laws that govern their daily lives on Earth and simply rely on (often false) experiences and intuition. The ISO ship is basically a retro-rocket design with a hull that has to look like a naval warship. It represents strength, resilience, firepower, power and superiority. The hull does not have to follow any meaningful rules, instead it is usually overly large for the task of the ship or extravagantly shaped. Some ships are rather angular, massive and dark (military like a tank), others rather extravagant, brighter and more civilized (vacation ship). The crew moves freely on spacious decks, life support, artificial gravity and a seemingly unlimited power supply are a matter of course. 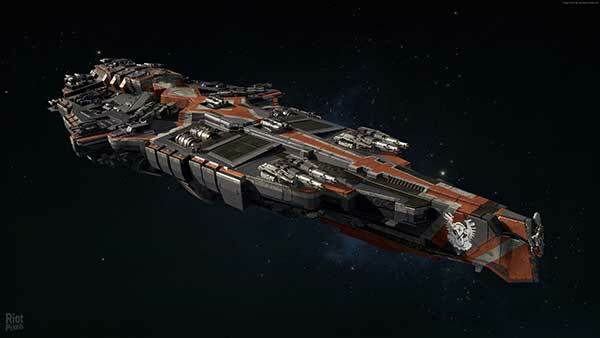 Weapon systems ranging from lasers to torpedoes * are either martialized on the hull or discreetly hidden inside. The ship’s propulsion is incredibly powerful, the critical issues, e.g. heat dissipation, are ignored. Typically, these ships can easily reach all of the key locations in the story universe, land there with onboard support craft and bring the crew through their adventures. In essence, the very same stories can be told with ships of the 15th-18th centuries. There is no reason to relocate them to space if the means used do not adapt to this medium. It just creates the superficial impression, that the stories take place somewhere else, instead they actually are stories about ocean going ships, airplane crews or people adventuring the jungles with some sort of all-terrain vehicle. When asked how their engines work or what power source they use, the only answer that can be give is: unobtanium – an extremely rare material with fantastic properties. You only need a small amount of it and you can run your ship all over the galaxy. Please note, that even semi-scientific ships with fusion drives rely on unobtanium, even if the reaction mass is quite realistic like deuterium. The unobtanium here is in the ship hull and thrusters, as no known material could withstand the thermal energies created by such powerful drives – ships would essentially be vaporized the instant they start their engines. Same is true, to a certain degree, for all sorts of pseudo-realistic drives from anti-matter to warp drives. There is a sub-type of Type II ships, that tries to hide it’s true nature by overpainting it in the current trendy colors and looks. Presenting them all in white is one example. There is no good reason to paint a ship white (or any other color) but in 2000s white became the new designer color for pureness, luxury and modern technology (i-pod effect). Thus, painting your WWII battleship in space white is actually a weak attempt to make it look more realistic or believable. Adding chrome and other luxury materials adds to this effect, too. Just like the Eldar ships from the Warhammer 40.000k universe, these ship designs are typically used by ancient and superior alien races. To make them look more differently and remote (yet not necessarily more menacing), their ships look like jewels between the stars. As human designs are usually rather boring and functional because economy forces us to build like that, beauty in design is typically associated with wealth and the freedom to build such wonders without the restrains of economy and efficiency. Unfortunately, these designs also follow human concepts of beauty or superiority. Nobody knows what alien races would consider to be beautiful. 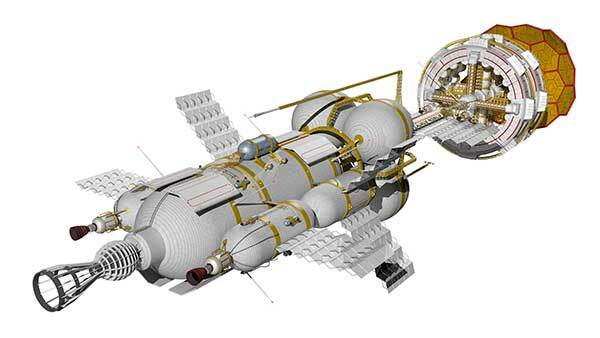 It’s not very likely that they believe a crystal flower design to be the best choice for their space ship, even if they want to show “hey, we can build whatever we want to”. 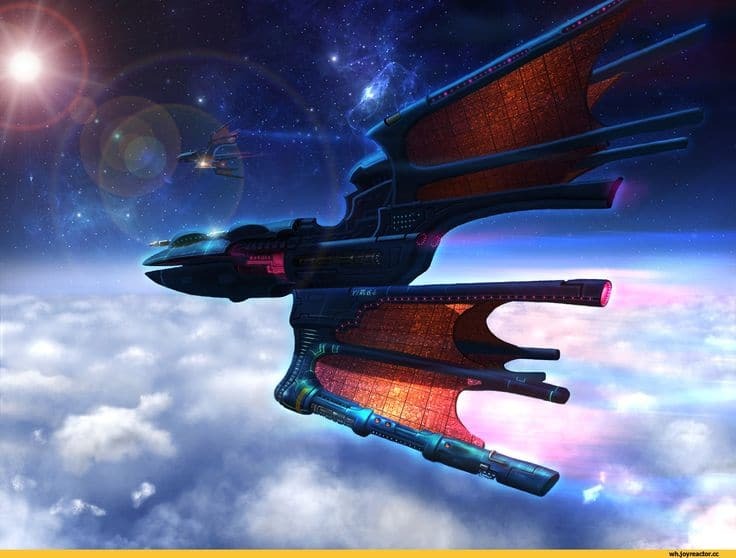 Eldar ships usually display curved shapes, bright colors, unusual materials (crystal, precious metals, grown structures) and inexplicable technology presented by beautiful glowing lights or mystical effects. Their ships can go where human ships can’t, they are tough, sport insane weapons or means of rendering human weapons totally useless. Their interior is even more like a luxury hotel or ocean liner, containing completely self-sustained ecosystems, leisure facilities and technological wonders. Those ships are way beyond asking how their drives work or what energy source they use. If adressed at all, the answer is typically something very fantastic and magical. Some tap into stars by creating tiny wormholes, some use magical devices like the tesseract or some sort of magic globe or matter (uber-unobtanium). 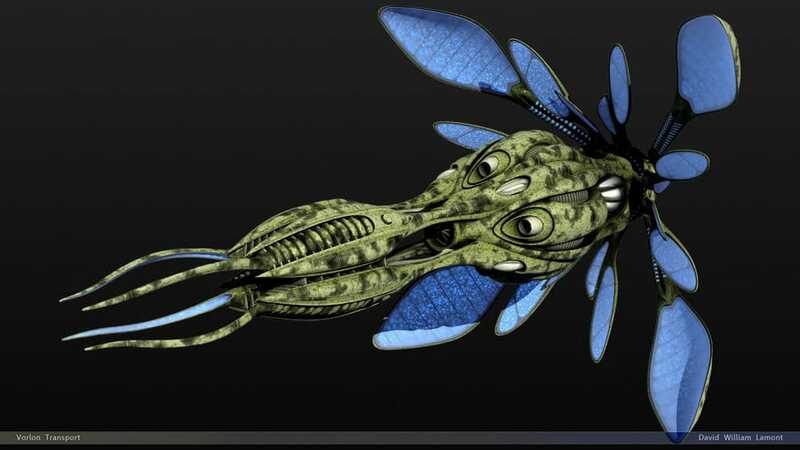 Ships of evil alien empires are often depicted as dark spiky designs, sometimes with claws or extensions that resemble appendages or weapons like scorpion tales, horns, fangs or needles. They sometimes look like space going sea urchins from a nightmare or are completely organic (pretty disgusting all by itself). Or look like spiders, bugs, reptilers, chthonian monsters or anything that humans typically are afraid of or find disgusting. Again, humans are the median for these designs, their fears or anxieties imposed the designs on the alien ships. 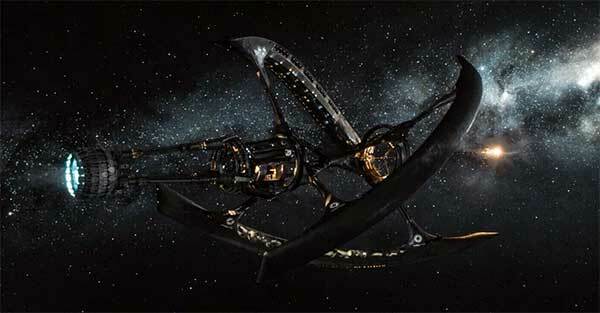 There is no reason why aliens would make their ships resemble their inner organs (humans don’t do that , either). In space, no one is going to look at your spaceship. Even scans will deliver rows of numbers, nobody cares about the silhouette, looks and style of your ship. So actually no designers would be hired to make your ship look imposing, beautiful or evil looking. A railgun will point at a heat signature or some other signal, no gunner will sit in a lasgun turret (WWII bomber trope) and manually point his cannon at that “spiky part at the pumping belly of the ship” to hit a weak spot. He will actually not even see the ship at 11,500 km distance. Tropes lead to more tropes. There are ship designs that stand in between several types or incorporate aspects more than one in one ship. Sometimes it’s hard to admit, that the beloved and oh so convincing design from the favorite tv show or movie is actually a type II joke beefed up with some aspects of type III. I am not going to wake the sleeping lion here and mention certain holy grails of sci-fi that stem from popular 60s series or 70s movies – but if you honestly look closer at the presented ships you will very often find, that the designs were poor to ridiculous and 100% plot devices. In more recent productions we rarely see better designs, often due to professional advice, but mostly Hollywood falls back into the old patterns for agood reason: box office success (= money).